Any cancellation/amendments need to be made before 4pm the day prior, a no show will count as a redeemed ticket. Collection Information Must email booking at least 24 hours in advance. Starting from the central ferry pier, visit the forever blooming Bauhinia sculpture at the Golden Bauhinia Square, proceed to very famous Victoria Peak and enjoy the view of sparkling skyscrapers and Victoria Harbour from the top of Hong Kong, en route drive by the wave lapped beach of Repulse Bay, proceed to Stanley, after shopping at Stanley market, experience the star ferry ride from central to Tsim Sha Tsui, which has been a mode of transport for locals for over a century. 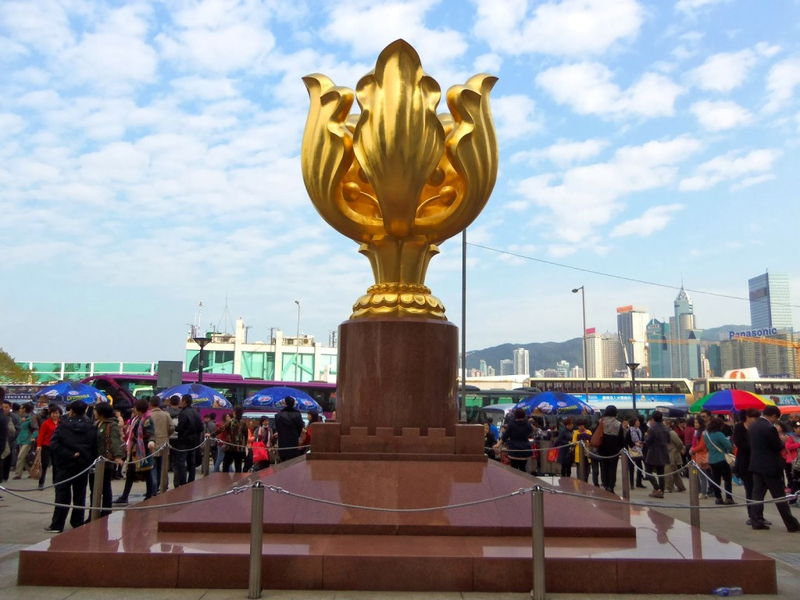 The golden Bauhinia Square is the very famous reunification monument to mark the 1997 handover, stop here for a photograph before moving to Stanley Market. At Stanley Market shop for branded clothes, accessories, jewellery, souvenirs at a bargain! If you are hungry by now, grab a bite from the seaside eateries and proceed to the Peak. At the Peak - the highest point of Hong Kong Island, enjoy the panoramic view of the Hong Kong skyline from the observation deck at the Peak Galleria. In the end take a ride in the highly reliable star ferry to Tsim Sha Tsui and enjoy the scenic views of the harbour. This tour will run from 1.30 to 6.30 PM, the tour will depart promptly - please arrive early to avoid disappointment.